It’s always an exciting prospect when you come across a huge collection of vintage muscle cars for sale at any one time. Here we have a collection of Pontiac GTOs ranging from 1964 to 1974, with about 40 vehicles in total. The listing is very short and to the point. It Just says there are lots of cars and parts for sale as they are downsizing their operation. The only specific information about individual vehicles says there are 2 x 1970 Judge hard tops, 1 x 1970 Ram IV HT and 5 GTO convertibles. The images provided don’t give much away as to what is available, apart from some small shots of the car collection. 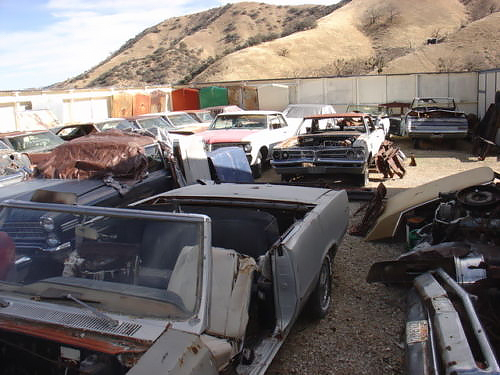 One positive is that the collection is located in Sylmar, California, meaning the majority of the vehicles should in theory have minimal rust. 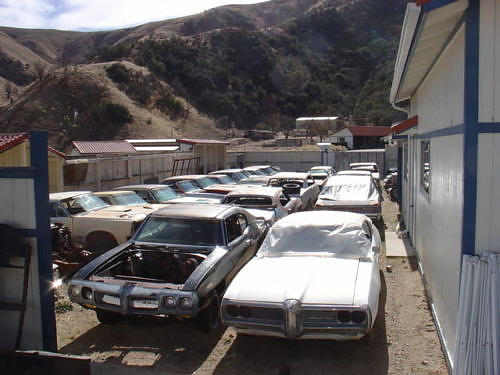 It seems that this is an established junkyard and after doing a quick search online, I came across Todds GTOs which looks remarkably like the place listed here. If it is, then it seems they are either selling up or thinning out their stock. For the listing they are asking $500,000.00. It seems quite a high amount for 40 vehicles which all need restoration. I’m not sure at this point if it is for the complete collection and/or what else you get with the sale. Nevertheless, if you’re in the market for some GTO parts or vehicles this may be a listing to consider.